Kolkata is one of the metropolitan cities in India. As one of the main hubs in India in terms of rich culture and commerce. The city faces heavy traffic, though less compared to Chennai, Bangalore and Delhi and has its own share of accidents taking place. Hence, it is vital that the car owners in the city have a good car insurance that protects them from unforeseen liabilities. 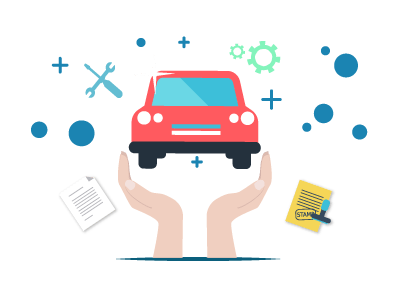 A comprehensive car insurance cover is an insurance plan that covers own damage liabilities as well as third-party liabilities at the time of a mishap. Third-party Liability Cover A third-party liability cover is an insurance plan that covers third-party liabilities at the time of a mishap. You can avail a car insurance, either comprehensive or third-party, online or offline, depending on your convenience. You can visit the official website of the insurer or third-party insurance websites to purchase or renew car insurance. You can use a credit card or debit card or netbanking to pay for the insurance plan. You can visit the nearest branch office of the insurer or meet with an insurance agent to avail a car insurance plan that suits your insurance needs within your budget.